But the Cranbourne-trained six-year-old repaid her trainer when coming with a late dash for a thrilling nose victory in the Group 3 Bow Mistress Stakes over 1200 metres on Friday. Nautical arrived in Hobart on Thursday morning but hadn't touched her feed since in her first trip away from home. "She hasn't eaten a thing she got here," Burke said after the race. "I haven't slept or eaten because I've been so stressed." 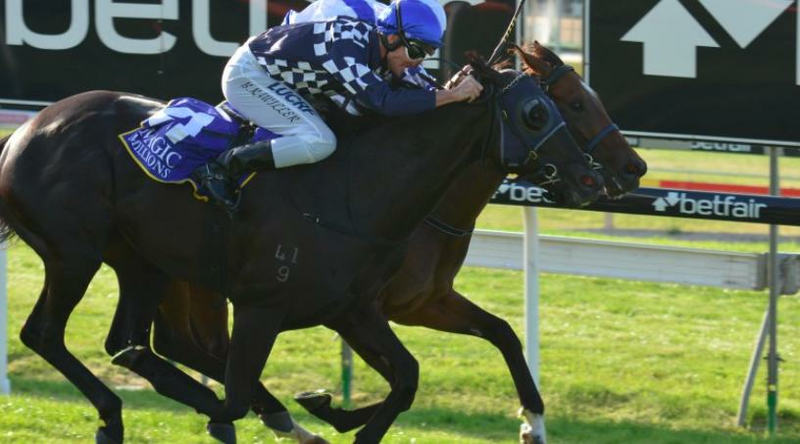 The mare showed no signs of that drama in surging home under Brad Rawiller for her first stakes victory after two previous black type placings.